According to the National Highway Traffic Safety Administration, bicyclists made up 2.2% of all traffic fatalities in 2016. Far too many bicycle riders are killed or injured in accidents each year. 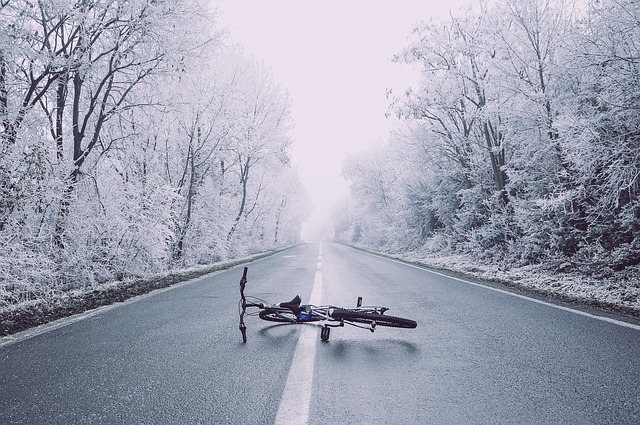 While drivers are quick to blame bicyclists for being reckless on the road, many of these accidents are the result of drivers failing to pay due attention to the road and their surroundings. Another large percentage of bicycle accidents are caused by drivers failing to give bicyclists the right of way. Dooring accidents: These occur when a bicyclist runs into the door of a vehicle that has opened into his or her path. Bicyclists could ride farther to the left to avoid parked cars where occupants are opening doors to exit, but this puts them further into lanes of traffic. Drivers have the responsibility to check for oncoming bicyclists prior to exiting their vehicles. Sideswiping accidents: When drivers move to pass a bike, they should give as much distance as possible. This does not always happen. When a vehicle driver fails to give a bicyclist enough room as they pass, the vehicle can all too easily sideswipe the bike. Rear end accidents: This is when a bicyclist is hit from behind and most commonly occurs at places like stop signs. This can also happen when a bike rider moves to the left to avoid things like opened doors from parked cars. Bicyclists are all too often read ended because a driver is not paying proper attention to the road. It is also the most common way that drunk drivers injure bicyclists. Right hook accidents: This type of accident refers to drivers turning into bicycles traveling to their right. At an intersection, a vehicle turning right might not check their blind spot and turn into a bicyclist. Drivers can help decrease the number of bicycle accidents by acting responsibly and remaining ever vigilant in being aware of their surroundings. Bicyclists can help too by doing the same. Bicyclists should also make themselves as visible on the road as possible. Wear reflective clothing and make use of all available safety equipment. Bike accidents can result in devastating injuries. Bicyclists are particularly vulnerable out there on the roads as they are out in the open, lacking the protection and safety feature that riding in a vehicle provides. If you have been injured in a bike accident, contact our personal injury attorneys right away. With mounting medical bills and the cost of future medical care to help you recover from your injuries, you want us on your side to fight for your full and fair financial recovery.